Although I look back and regret having amassed too many diaper bags and bottles when my girls were babies, one item that seems to be continually in demand around here is the booster seat. Between our carpool, both of my own kids, and their numerous friends that we're often driving around, it seems that we're always reaching for a high quality booster seat to keep everyone securely in place. As I've mentioned before, there is nothing more important than my kids' safety in the car... and that extends to our young friends as well! 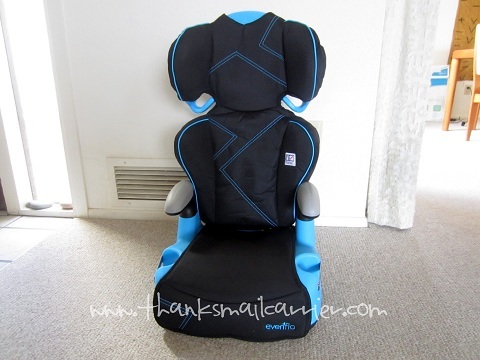 Thankfully, I love being able to turn to brands like Evenflo that offer products such as the Amp High Back Booster Seat so that I know that all of my young passengers are protected and shielded in the event that an accident does happen. 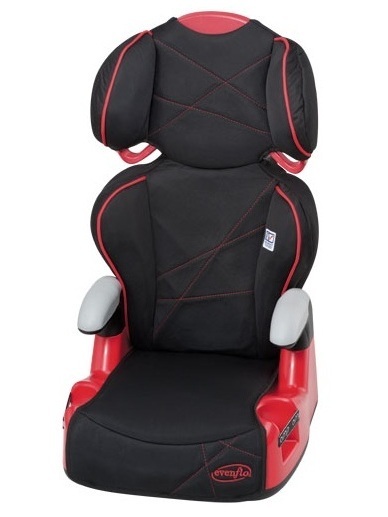 As the National Highway Traffic Safety Administration (NHTSA) recommends children remain in booster seats up to age 12, that means that parents should spend just as much time (and put in as much research) as they do when selecting their newborn's first car seat or the convertible seat that will then follow. Fortunately, Evenflo has a variety of booster seats ranging from harnessed to belt-positioning in high back and no-back to meet the quality and needs that parents search for and the personalities and preferences of preschool and school-aged children alike. 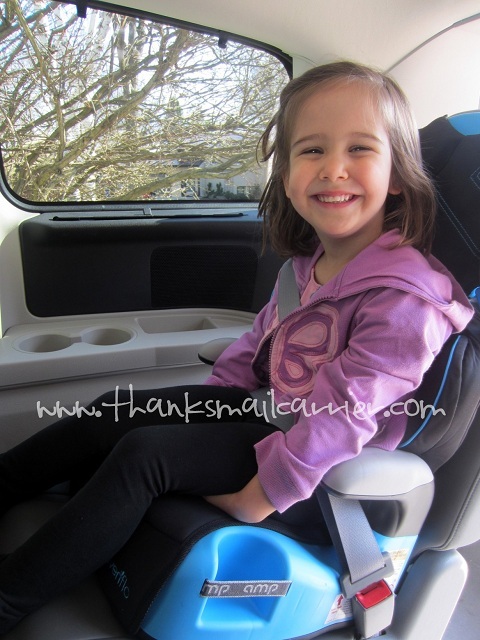 And, when the box containing an Evenflo Amp High Back Booster Seat arrived, I knew that it was just the right blend of fashion and function by embodying a child's personal style and keeping them safe and secure in a vehicle as well. Available in a variety of colors and fun designs, the Amp High back Booster is for use forward facing with the back for children that are 4+ years old, 30-110 lbs and 38" to 57" tall. 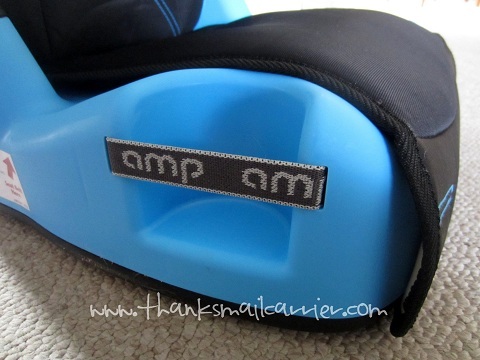 Then, as it easily converts to a backless booster, the Amp can also be used for your 4+year-old who weighs 40 to 110 lbs and is 40" to 57" tall. It only took a minute or two to snap the headrest into the back and connect the back to the booster seat. By easily locking the pieces together and standing the back upright, I soon had a high quality, durable, comfortable booster ready for use. Catching a first glimpse of the Evenflo Amp, both Big Sister E and Little Sister B were excited about the dynamic blue coloring and the "big kid" look and feel. As usual, they immediately pointed out the two elastic cup holders, as both girls are always thrilled when they are able to have their drinks, snacks and belongings right within reach. Heading out to the car, my husband and I were both excited to find that there wasn't any installation involved, as this Evenflo Booster Seat rested easily in place on the seat. 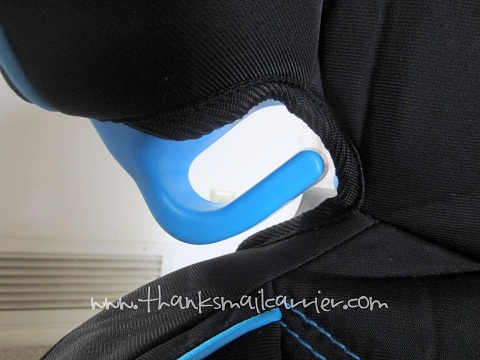 I then took a minute to admire the thought that Evenflo put into its safety features, as the adjustable head support and energy absorbing foam are both great additions for reducing impact and keeping my precious cargo safe in the car. Even better, this head support features a one-hand, 6-position height adjustment to accommodate growing children for many years! As an added bonus, I love the open-loop belt guides up at the shoulders to help ensure that kids correctly position their seat belt when getting in and buckling up. 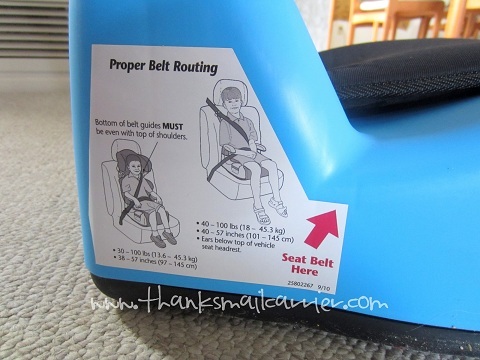 There is even a handy reminder right on the side of the booster itself to show exactly where the seat belt should meet, as well as where to place the head support and when to use the optional belt positioning strap. All in all, Evenflo has done a wonderful job reducing my fears and easing my worries, while also keeping my passengers safe and secure. I have no doubt that we will be using the Amp with the high back in place for quite a while... and, considering how extremely easy it is to simply remove the back and turn it into a backless booster, we'll be using it even longer after that! 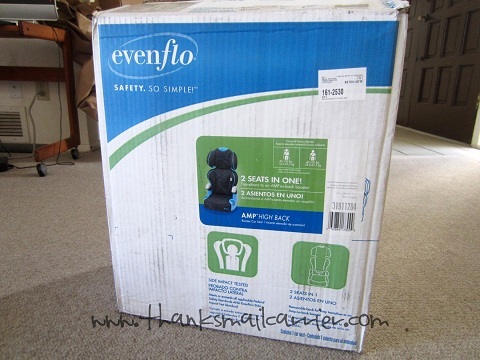 When it comes to car seats, high chairs, exersaucers, soft carriers, home safety, and much more, Evenflo has the items that meet all the needs of children from birth to the preschool years in an affordable way — this booster seat will last for years to come and sells for $39.99 from Amazon, on Walmart.com or in stores near you. 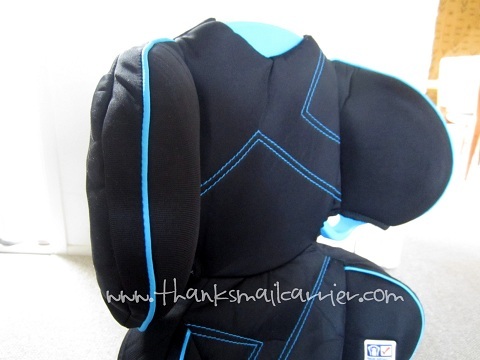 Find out more about the Amp High Back Booster Seat on the Evenflo website and be sure to connect with this award-winning company on Facebook and Twitter as well. 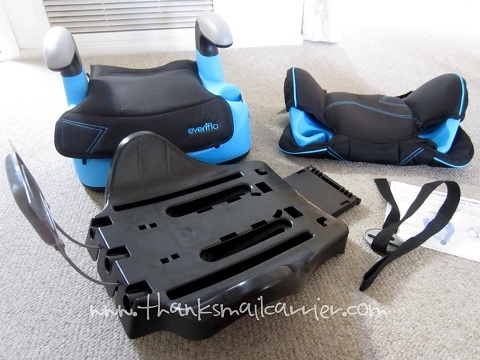 Other than the Amp High Back Booster Seat I was provided by Evenflo to facilitate my review, I was not compensated or enticed to do this review in any way. This post is solely my honest opinion of this product and this company. I am going to be needing a booster seat for my granddaughter pretty soon. I appreciate your very insightful review. I was recently shopping for a booster for my daughter, and did some research on a consumer website that tests things and is highly reputable. The Evenflo Sport/Amp was the *only* booster that received their good rating for crash protection. All the others were less than that. They tested the Sport version, but not the Amp because it was basically identical and they advised that they expected it to perform similarly. So I went and got her one of these and I'm so happy knowing that not only did I not have to shell out the major bucks for a pricey brand, she's as safe as I can make her. Looks like a great booster seat. I love the options of pink or blue. I wish these had been around 40 years ago when I needed them. Good review. I love our EvenFlo Car seat! I'm glad it was my 1st choice. I read through all of your review today and I really found some great ideas for gifts to give to all of the different members of my family. Thanks so much for the reviews!